Nintendo's first mobile game is also a much deeper experience than expected. It's no stretch to say that Super Mario Run (launching December 15th for iOS; an Android version will arrive next year) is one of the most notable mobile games in years. It's Nintendo's first real smartphone game and one of the only instances in which the company has developed a Mario game for non-Nintendo hardware. It's the first of several mobile titles planned and could mark the start of a major business shift for Nintendo. But let's put aside all these heady concerns about what Super Mario Run means for the company and answer the most important question: Is the game fun? Based on the all-too-brief demo I had earlier this week, the answer is a resounding yes. 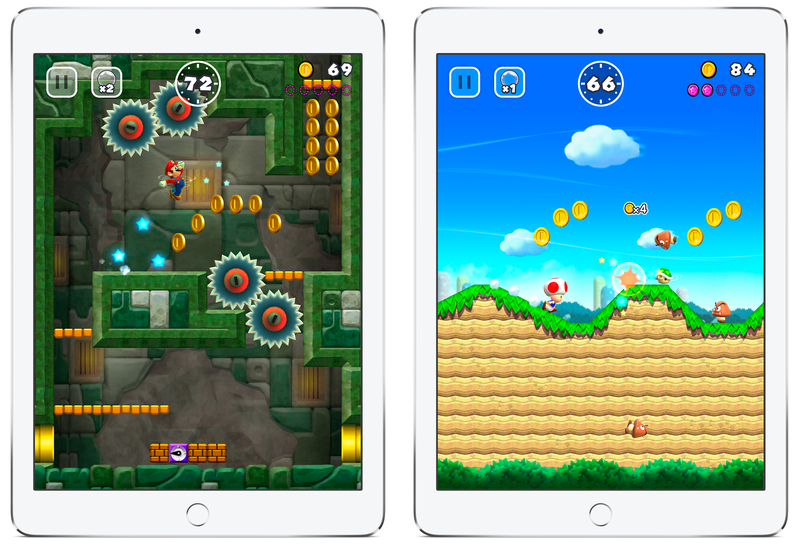 With Super Mario Run, Nintendo has successfully built a Mario title that makes perfect sense for a mobile phone while still featuring surprisingly deep gameplay and a level of polish seen in a small percentage of games, regardless of platform. The gameplay appears to be identical to what Nintendo first showed off onstage at Apple's event this past September. 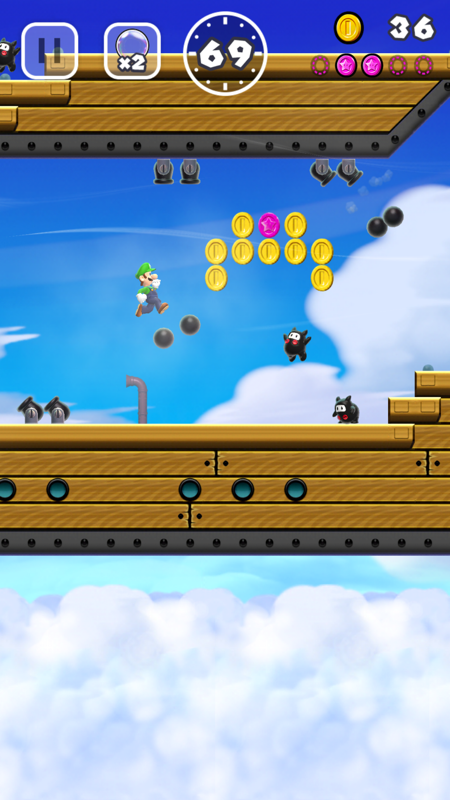 Mario runs automatically from left to right, and the player can tap the screen to make him jump. The goal is to get to the end of a course, which seems to take a minute or two, while avoiding death and collecting as many coins as you can. Naturally, there are a lot of variations on what you can make Mario do here beyond that: Holding longer when you tap makes him jump higher; you can tap again to get a brief momentary hover; you can wall-jump; landing on enemies gives you a chance to string together multiple jumps; and so on. There are a handful of environmental items that change things up as well -- jumping off of certain bricks will send Mario soaring to the left instead of to the right, and standing on some bricks will stop Mario so you can assess the coming challenges and plan your route. In the few levels I tried, getting to the end wasn't a big challenge. But the replayability should be excellent here because I didn't come close to grabbing all of the coins in the course -- those among us with OCD tendencies are going to be playing these levels multiple times to perfect our route and jump timing. Furthermore, each course has five pink special coins to grab. Getting those unlocks five more purple coins in harder-to-reach locations. Getting those unlocks five black coins, again in even tougher places in the level. It'll take at least three playthroughs to grab everything in a given level, and to get all the standard coins will be another challenge. That's one example of the game's depth. The next comes when you factor in competition. 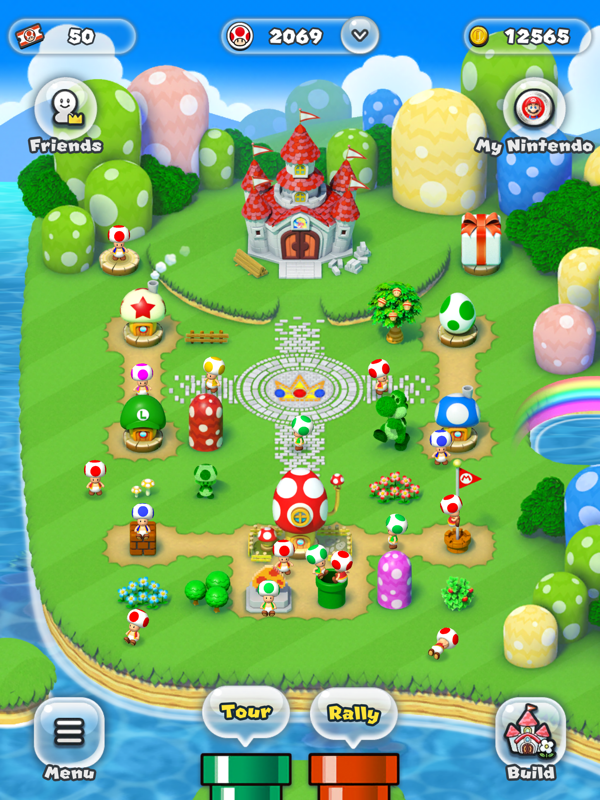 The main game's standard 24 levels are only one part of Super Mario Run. There's also the "Toad Rally," in which you compete against friends or people all over the world. Entering a Toad Rally competition costs tickets, which you gain in other parts of the game. Once you've entered the rally, you start a timed course that doesn't have an end and shoot to get as many coins as you can before time runs out. But you also need to impress the Toad judges by doing combo jumps and other more complicated tricks as you make your way through the level. The more you impress the judges, the more they cheer, and the more points you get. 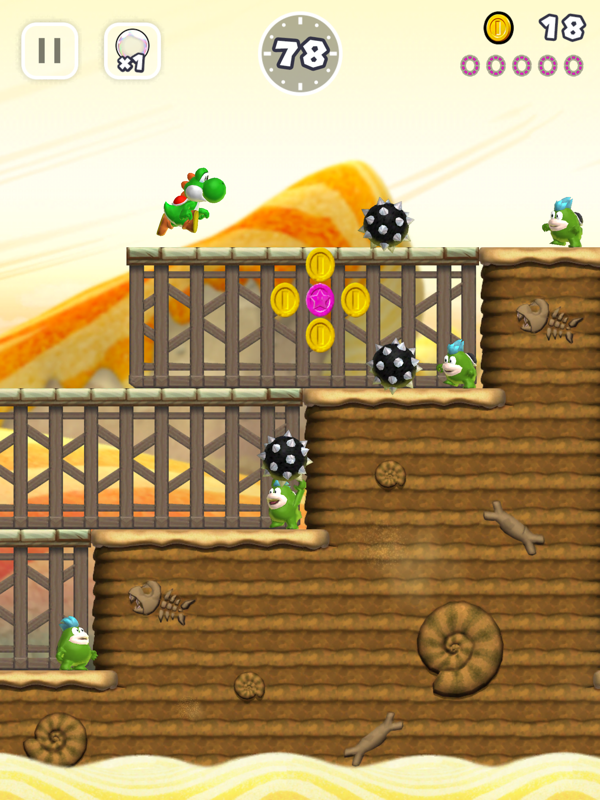 In both the standard "World Tour" and Toad Rally, the gameplay is excellent. There's enough of a learning curve that I didn't feel like I could immediately master each level, but it certainly wasn't hard to just pick up and start playing. Perhaps the trickiest thing for those of us who've played a lot of Mario will be remembering you don't have to jump on Koopas and Goombas -- by default, Mario will automatically vault over them. Jumping gives you more points and the opportunity for more combos, but you don't have to do it. The Toad Rally has another twist: You put a few members of your personal Toad posse on the line when you play, and if you lose, those Toads defect to the victor's team. The number of Toads on your team serves as a good representation of how successful you've been in the rally -- so you can use them to see how good a potential opponent is before challenging them to a match. Toads also serve as some in-game currency for buying little houses and other objects you can use to customize your very own Mario overworld map. There's no actual game to be played here, but plenty of fans will likely enjoy tweaking the Mario home screen that they see every time the game starts. Regardless of what part of the game you're playing, the graphics look wonderful. I played the game on the iPhone 7 Plus and I've never seen Mario look quite so sharp and vivid (the last Mario games I played for more than a few minutes were on the original, standard-definition Wii). And there's no hint of slowdown or performance hiccups here either. I would have liked to see how it performs on less powerful hardware, but we'll have to wait until the game launches to see what devices you'll need to have a good experience with Super Mario Run. Nintendo decided to price Super Mario Run at $9.99 -- more than most iOS games, but less than most games for the company's own consoles. I think that's a fair price, given the number of levels included and the replayability factor here. But if you're wary, the free version of the game lets you play the first three levels and try your hand at a few Toad Rallies so you can see what it's all about. Nintendo of America president Reggie Fils-Aime said it didn't feel right to make people pay to keep unlocking levels when there's so much momentum in the game to keep running through levels, so the company decided to skip all in-app transactions and go with the single one-time purchase. Ultimately, the entry fee may seem a little high, but I suspect it'll be one well worth paying -- and I think lots of players will agree with me. Having a native Mario experience built from the ground up with the iPhone in mind is a huge win, and the game appears to be equally well suited to quick play on the subway and longer, in-depth sessions when you're on the plane. I haven't bought a new Mario game in years, but I'm ready to pull the trigger on Super Mario Run. Update: If you want to try Super Mario Run out for yourself, Reggie announced on The Tonight Show that starting Thursday, a demo will be available at Apple Stores worldwide.